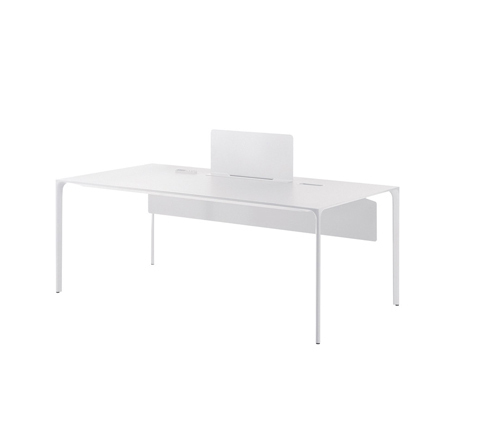 Table with rectangular top equipped with grommets to be completed with cable grommets or grommets cover and suitable to be fitted with office accessories. Height 74 cm – 29. A return unit with rectangular top can be connected to all models. 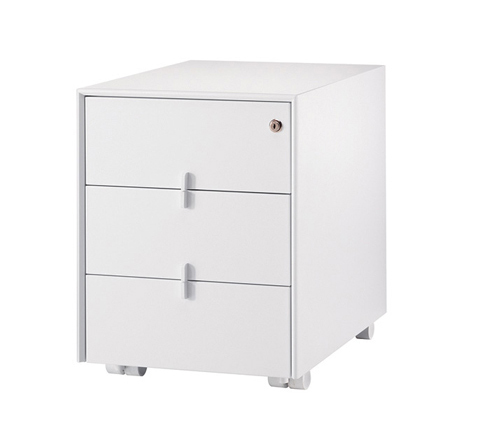 All tops are available in MDF laminate or wood veneered, with polished or painted aluminum structure. 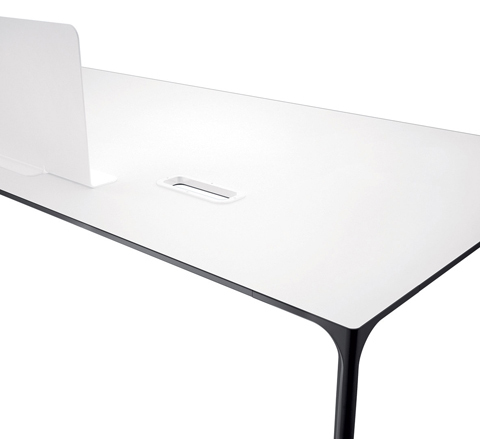 New set of accessories to adapt Nuur table system to office use are available upon request with a surcharge: screens, cable grommets and holders, grommet covers, modesty panel, PC holders, also suspended and drawers. A linking system kit will be supplied to allow you to attach the return unit to the office tops to create a L-shaped layout. Table top dimensions: 160 x 79 cm (art. 0818), 180 x 79 cm (art. 0815), 200 x 100 cm (art. 0817), return unit to be connected to all Nuur Office models 100 x 60 cm (art. 0816). 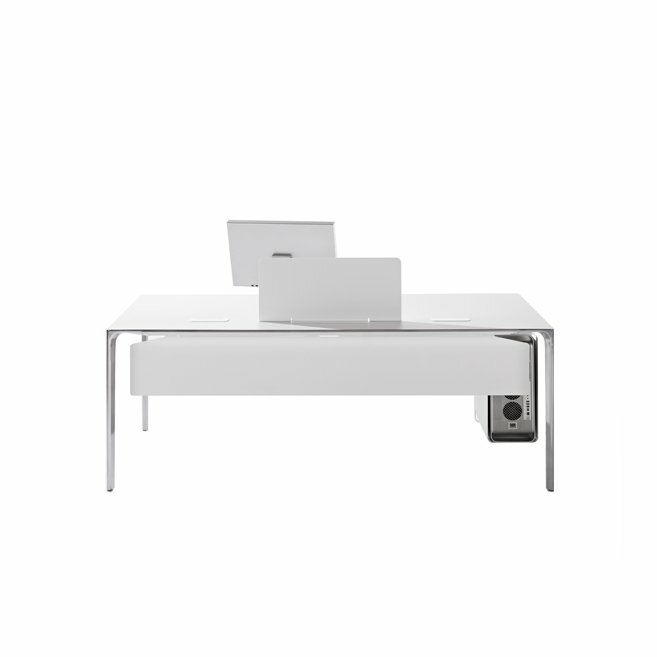 Nuur is the archetypal table: a single, spare plane floats above four slender legs. The result is aesthetically pure but flexible. A universal system based on the simple principle of four corner legs, four rails and a top, Nuur adapts to diverse applications and environments. Table tops are available in square or rectangular formats in either colored laminate or wood veneer. The structure is available in polished or painted aluminum.